Brand new replacement laser for the XBox 360 BenQ (VAD6038) Lite-On (DG-16D2S) DVD drives. HOP-1401 / HOP-141X. Replacement optical lens for Samsung, and Hitachi DVD drives used in XBox 360 Slim consoles. The Squirt 360 (CoolRunner + Squirt Programmer) all-in-one Glitch hack! The all in one JTAG & SPI programmer. This Digital Arcade Stick features 8 buttons and functional buttons. Those buttons are perfect for playing all kinds of fighting games. The Home button can directly control the console, giving you the full feeling of arcade realism. Despite the KOF design on its exterior, this arcade stick is compatible with all fighting games, including Street Fighters. This Digital Arcade Stick features 8 buttons and functional buttons. Those buttons are perfect for playing all kinds of fighting games. The Home button can directly control the console, giving you the full feeling of arcade realism. Despite the KOF design on its exterior, this arcade stick is compatible with all fighting games, including Street Fighter. 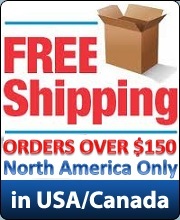 Very good site, i ordered my PS3Key from here about 2 weeks ago and got it last week. I am based in the UK so understandable about delivery times, but it was all quick and efficient, and when i contacted MCC about a certain issue, i got a reply in half an hour with the relevant information that i needed. Top work, keep it up and i recommend this site to anyone who asks about where to get a PS3JB. Thanks!